A field crew collects biological, habitat and water-quality data from a stream in the Big Bear Lake watershed as part of a stream condition assessment. SCCWRP and its partners have developed a modeling tool that will enable environmental managers to use data from condition assessments to simultaneously conduct a rapid, screening-level causal assessment of the site. SCCWRP and its partners have developed a statistical modeling tool for conducting causal assessments that could help shave a year or more off the time required to narrow down potential causes of degraded ecological condition in streams and estuaries. Instead of conducting a water body condition assessment first, and then following up with a causal assessment afterward, the Comparator Site Selection tool will enable environmental managers to use data from the condition assessment to simultaneously conduct a rapid, screening-level causal assessment. The tool, completed in December, is described in an upcoming article in the journal Freshwater Science. Using the Comparator Site Selection tool, environmental managers will be able to quickly go through a standard list of possible stressors – including elevated conductivity, pesticides and excessive sedimentation – to narrow down potential causes of degraded biological condition. Each stressor is either rapidly eliminated from consideration or identified as a possible cause of degradation based on a standard set of evidence types. SCCWRP and its partners are continuing to work on building this analytical framework. The screening-level causal assessment approach is intended to serve as the first tier of a proposed three-tiered framework for conducting causal assessments in streams and estuary environments across California, with subsequent tiers providing more intensive and stressor-specific analysis. Causal assessment work is expected to become increasingly important in California as environmental managers turn to condition scoring tools such as the California Stream Condition Index to identify water bodies in degraded ecological condition. The Comparator Site Selection tool uses a statistical modeling approach known as “modeled expectations of biological similarity” to automatically generate appropriate comparator sites to use during the screening-level causal assessment analysis. Comparator sites are other water bodies that – based on site-specific environmental conditions such as elevation and weather patterns – would be expected to support biological communities similar to the site being studied, but that aren’t experiencing one or more of the suspected stressors. Traditionally, the process of selecting appropriate comparator sites has been done via best professional judgment. A group of local stakeholders familiar with the area being studied identifies three to four sites believed to be reasonable comparator sites. The process often takes 12 to 18 months – and is not started until after the site’s condition assessment work is completed. To automatically generate an appropriate list of reasonable comparator sites, the Comparator Site Selection tool draws on data from hundreds to thousands of sites representative of the diverse water bodies across coastal California. This same modeling approach also is used in the California Stream Condition Index, a condition assessment tool co-developed by SCCWRP in 2015. 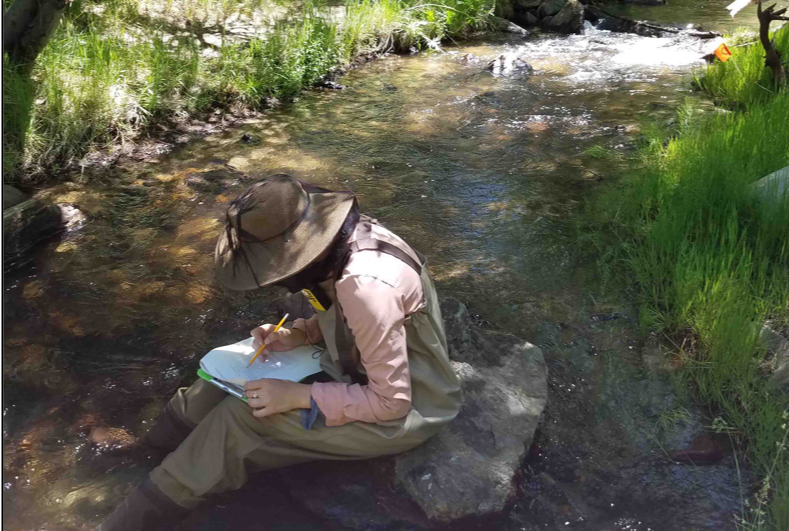 Last year, SCCWRP and its partners launched a three-year case study in San Bernardino County’s Big Bear watershed to test-drive the new causal assessment approach. Additionally, these tools are being tested and refined in the San Diego River, Los Peñasquitos Creek and Chollas Creek watersheds – all in San Diego County. For more information, contact Dr. David Gillett.